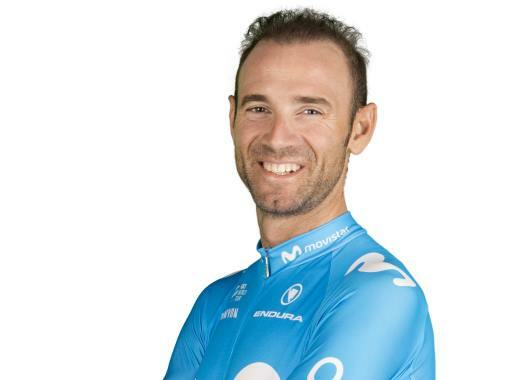 Movistar's Alejandro Valverde finished in the 15th position of the 17th stage of the Vuelta a España and remained in the second position of the General Classification of the race. The Spaniard is now at 25 seconds from Simon Yates in the overall standings after a good performance at the mountain finish of the 17th stage at the Balcon de Bizkaia. "The truth is that things aren't going bad," he happily commented at the end of the stage. "I gained eight seconds to Yates today and they are good but he keeps being in front. "We knew that today could be a day on which anything could happen, coming from a rest day and a demanding day like yesterday's. We saw a lot of people suffering. The entire stage and particularly the first part with the first climb were very fast. I felt better than yesterday. I didn't know where I had to attack or even if I wanted to do it. I talked to Nairo and he told me that he was going well, but at the third week of all grand tours you never know what will happen." Valverde kept at the front of the favourites' group until the last kilometres, where he went away and took some seconds in his favour. "Astana rode very strong on the first kilometres of the Balcon and I saw how Miguel Angel (Lopez) was letting go from Pello (Bilbao)'s wheel. As soon as the hard part of the climb started I decided to test the people. "I was very worried about Kruijswijk and at the end, he lost time. Right now, the chances may be in the hands of three or four, but there is still a lot to go. The differences of the day were slim, but in any moment of the next stages they can become very big." The rider has his eye on the 19th stage that has a finish on the first category climb of the Coll de la Rabassa. "I know la Rabassa very well. Alberto Contador said to me today at the podium that I have to take care of myself and eat well because he had a big moment of weakness there in 2008. For now, we are doing our work day by day and we are excelling in it." The lead of Movistar has become more clear after the day's stage but the rider wants to be cautious about it. "Nairo lost more time and he has it more difficult. We still haven't got to the hotel or talked about it, but it is true that the race is turning more in my favour."